The Simon & Garfunkel Story - a special week-long run at the Vaudeville between Monday 12th November and Saturday 17th November 2018. 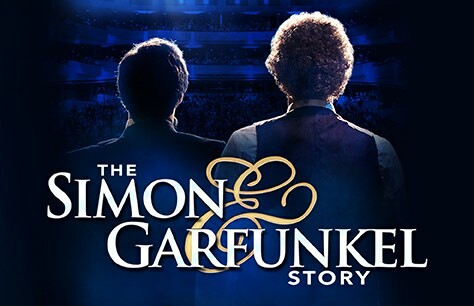 After touring to every corner of the world, The Simon & Garfunkel Story is now heading into London's West End for a special four month season, the internationally acclaimed immersive production takes audiences through the story of Simon & Garfunkel’s incredible career. Led by Sam O’Hanlon (Paul Simon) and Charles Blyth (Art Garfunkel), a full live band and brass orchestra rekindles all the duo’s classic hits including: Mrs Robinson, Cecilia, Bridge Over Troubled Water, Homeward Bound, The Sound of Silence and many more. Excellent show. Well done. Shame about brats sitting behind with crisps rustling packet & kicking our seats. parents appeared oblivious! Thank you to steward who finally asked them to stop making a noise during the lovely ballards.